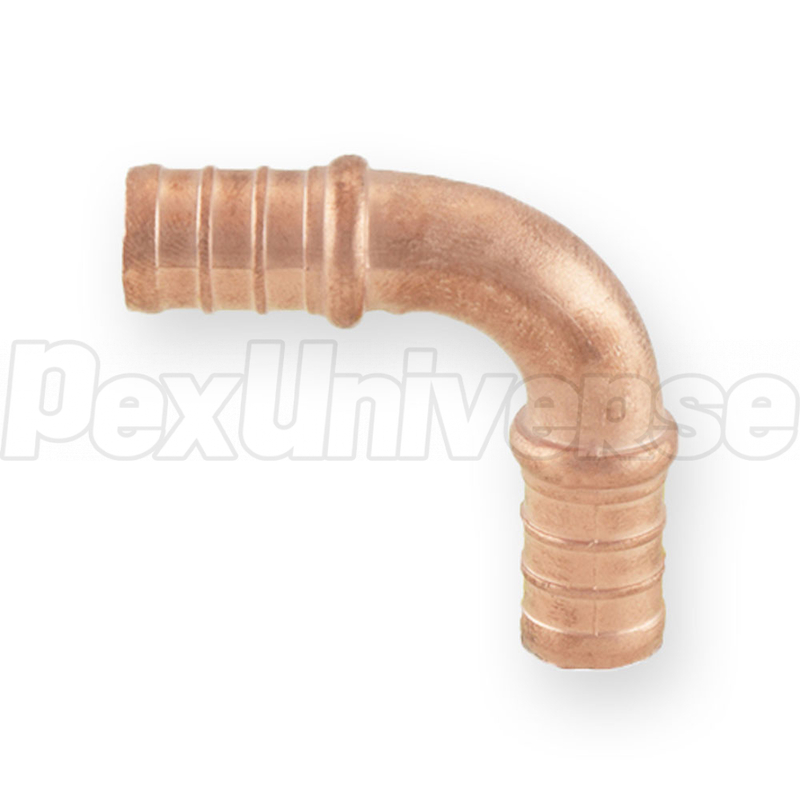 1/2" PEX elbow fitting allows to connect to 1/2" PEX pipes together at a 90-degree angle. 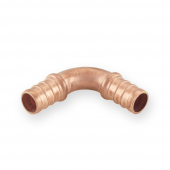 Compatible with crimp or clamp connection systems. 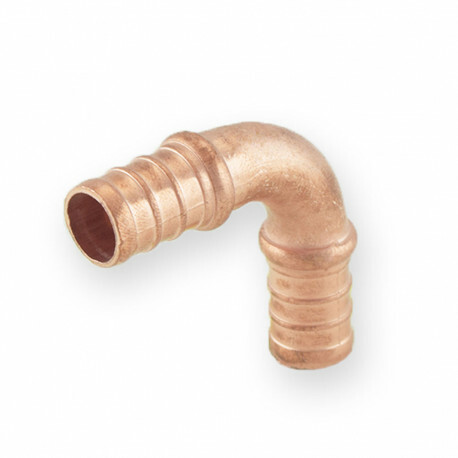 Made in the USA from lead-free copper and approved for potable water use.